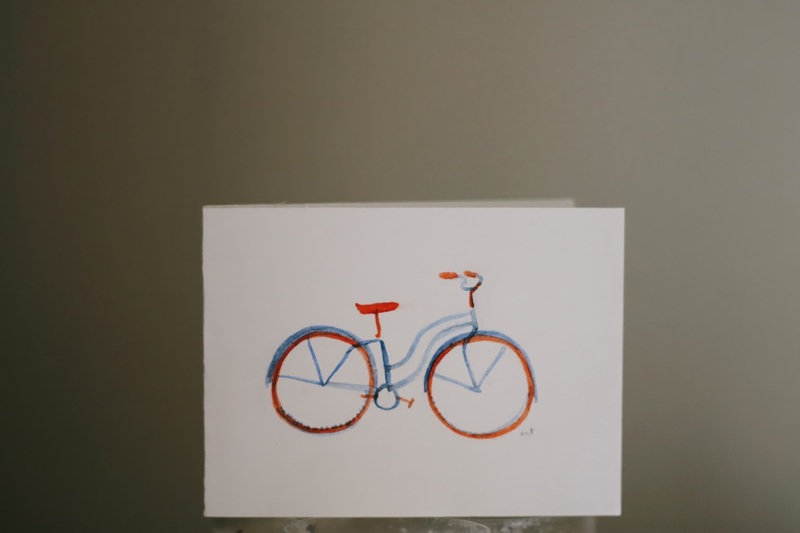 Small + simple pictures are most often my favourite ones, so I watercoloured a little bicycle for a friend. p.s. I just love the card. My mom loved it, too. :) Oh, and I drank the Ginger Lemon tea last night! SO good. Aaand I saw that our health food store has Pukka teas (the very first kind of tea that you sent me!). 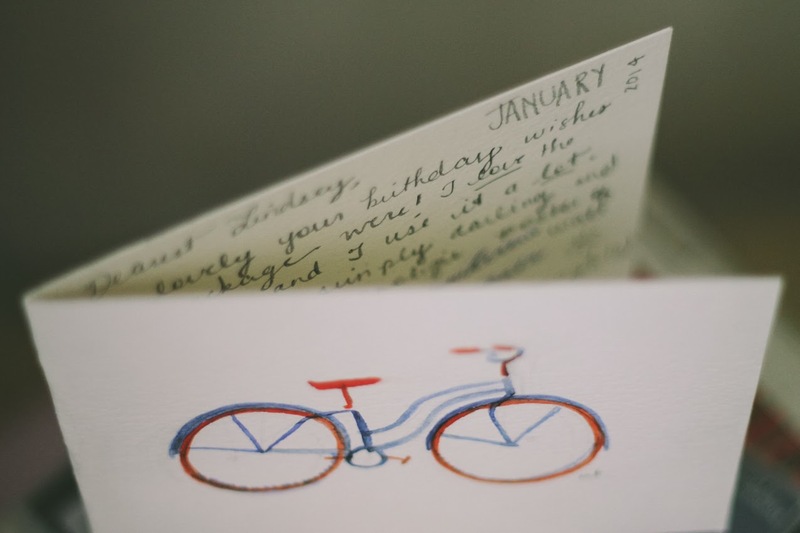 I'm a little (too) excited to hear from you in the post; I haven't received a letter in months, and yours will be such a joy to receive, I'm sure! You are freaking talented with the watercolors (and with like everything, basically). I always adore seeing your watercolor paintings! 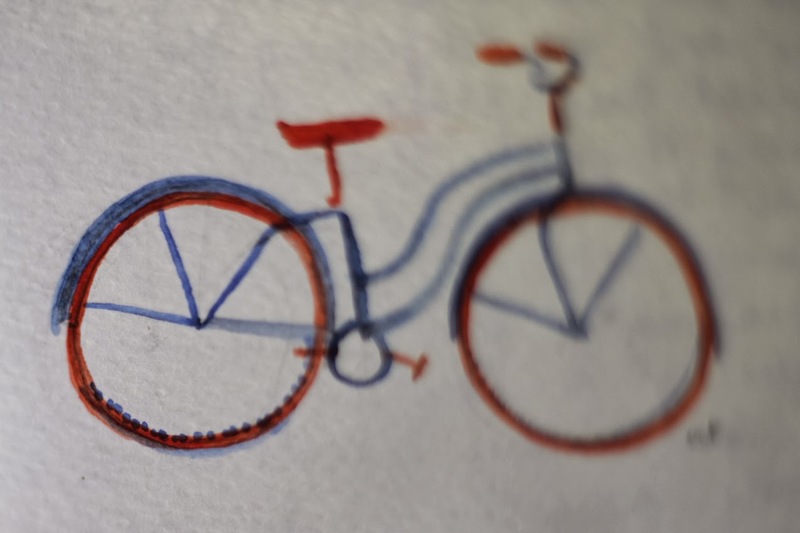 And I especially love this bicycle. Beautiful. I definitely agree with Megan about doing a time lapse of you painting! Lovely card! I'm also really liking simple designs lately.